Protect industrial products during shipping with our shrink wrap packaging. When your turn to SHRINK WRAPPING, LLC. in Miami, Florida, we make sure we fully cover your items in a durable plastic film to keep them safe from dirt, water, and critters. Recommended for commercial and industrial businesses, shrink wrapping is a great way to secure a variety of merchandise from the elements. We wrap basically anything that needs to be protected by transport or storage for maximum protection against all conditions. Typically used by machinery manufacturers (when shipping device overseas), our wrapping service keeps items from being exposed to bad weather, saltwater, and other hazards. 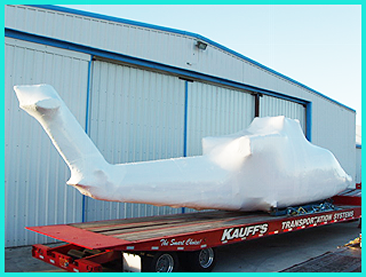 Our professionals can cover any type of assembled products, including boats, trucks, and helicopters that will be shipped by sea. Take advantage of our covering service for a cost-effective price. While costs vary depending on the items you need covered, we strive to make your fee affordable. Contact us to protect your expertly-crafted boats or generators from the elements with shrink wrap packaging.